The incoming Chief, outgoing Chief and Justice Gyan Sudha Mishra, who retires along with Chief, the three Judges assembled at the tick of clock at10.30 am, in Court One, known as Chief’s court. The tradition demands that the Judge on her retiring day, should sit with Chief Justice, thus Justice Gyan Sudha Mishra reached the first court. Few judgments to deliver, including the case of pardoning of Rajiv Gandhi assassins. All were guessing as to how the CJI is going to untie the gordian knot. Two options before him as commonly understood, either release the convicts approving the stand of Tamil Nadu or permit continued incarceration as wanted by the Union. The Chief Justice legally chose to remain undecided, referring the matter to Constitution Bench. After delivering few more Judgments, the Court turned into normal business mode. Chief Justice continued with accommodating innumerable mentioning requests as far as possible. Requests for early hearing, listing, tagging, exclusion, inclusion and so on. Justice Lodha disapprovingly looked on. Remember, every Chief has his own set of rules, he is the ‘Master of Rolls’. 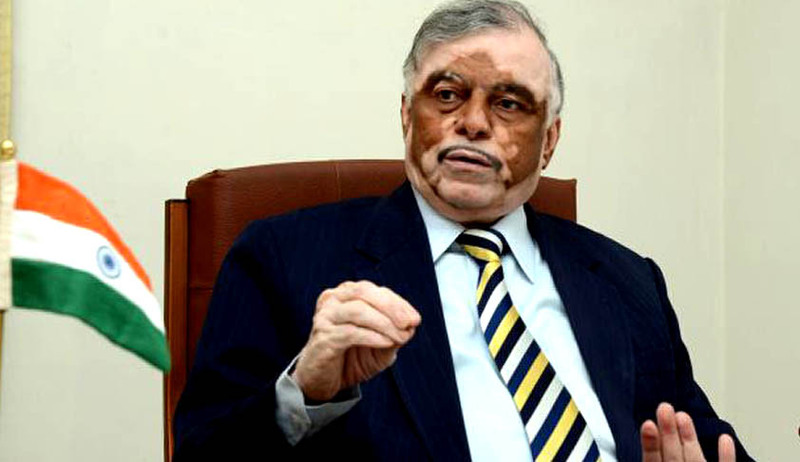 Justice Sathasivam himself had commented that this mentioning affair has created havoc and according to him that could be the reason why some of the earlier Chief Justices were very strict, indirectly referring to former Chief Justice Kapdia. Justice Lodha contrary to his argumentative style of conducting court business, in the company of chief looked very sober. Justice Sathasivam doesn't give a faint impression that he is retiring and no longer shall be the Chief Justice of India. As usual, he politely and firmly conducted his court, thorough with the brief, courteously dismissing and admitting cases. Justice Sathasivam is one of the few Chief Justices who can take the credit of delivering many landmark judgments in spite of enormous administrative workload as head of Indian Judiciary. Justice Gyan Sudha Mishra looked more serious than usual, absolutely silent with a touch of dispassion. Just 18 matters were listed today for admission, very less in number compared to any other normal working day. .
A large number of lawyers, were in attendance in court one, showing with expression of reverence. The officers bearers of Supreme Court Bar Association wished all the best to Justice Sathasivam and Justice Gyan Sudha Mishra. Senior Advocate Mukul Rohatagi while wishing the retiring Judges took the opportunity to welcome Justice Lodha as the next Chief Justice of India. Justice Lodha responded to the welcome without moving a single face muscle. Matters are over, last day of their long judicial innings. The judges stood up with folded hands panning the entire court room, they smiled and slowly left the court room in order of their seniority, first Chief Justice, followed by Justice Lodha and then Justice Gyan Sudha Mishra. Law clerks of the judges took time to exchange the farewell pleasantries. They appeared gloomy. One noticeable miss is the lawyers from home state of Judges. It has almost become a practice to flock Supreme Court by lawyers from the home state of Judges at the time of swearing in. Curiously such crowd is missing at the time of retirement of judges, lawyers have their own selfish reasons. A new life to begin .